To find the best way to clean leather or best leather cleaner it is important to first realize what type of leather you want to clean. There are 2 types of leather; finished and unfinished. Being a well built brand in leather industry since 1968, Leather Honey has consistently withstood with the test of time by making effective product. It is the best way to clean your leather accessories with the help of scrub brush. 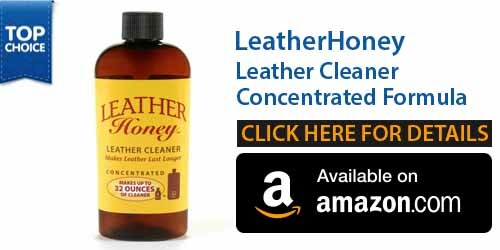 Though it is optimal for cleaning finished leather, unfinished leather can also be cleaned by Leather Honey. Especially it works well on car interior and furniture because it is powerful as well as gentle enough that it doesn’t damage or discolor the leather in any way. Even you don’t need to wear safety gloves because it is incredibly kind to your skin. After many tests and comparing it with other leather cleaners it came over the top. It leaves least amount of streaks, stain and dyes. It removes almost all the dirt. Long term consumers and professional leather cleaners all swear by it. It is backed by a 100 percent life time guarantee so you can feel relaxed that you are using superior leather cleaner for the money you are paying. Well respected brand in the industry. 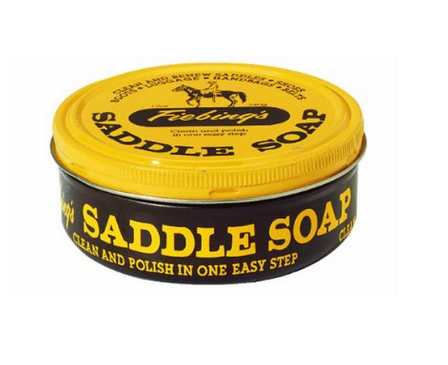 Fiebing Saddle Soap is best for unfinished leather, which is usually extremely porous and attracts debris and dirt. It digs deeper into pores and remove all the dirt and stains. It can also be used for finished leather; however it works best with unfinished type. We suggest not to use it with nubuck or suede that needs some special care or special type of leather cleaner. When asked to various professional leather cleaners and shoe shiners about the performance of this saddle soap and all of them swear by it. However we put it on further test and compare it with other saddle soaps product. Fiebing performed best and cleans up almost all the dirt keeping your leather looking shiny and healthy. Fiebing Saddle Soap is quite inexpensive and offer 30 days money back guarantee. This means that company is quite confident about their product. For best leather care, use saddle soap along with a leather conditioner such as Fiebing’s Golden Mink Oil Leather Preserver. 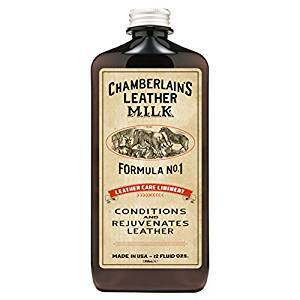 In general, it is the best leather cleaner that leave unfinished leather looking shiny and healthy. 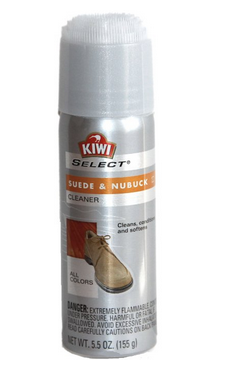 Kiwi Select Suede and Nubuck Cleaner is designed especially for nubuck and suede. Nubuck and Suede are extremely sensitive types of unfinished leather that easily traps liquids inside. So, using liquid leather cleaner like Saddle Soap or Leather Honey is not suitable. Kiwi uses a spray, which isn’t dense to sink inside the leather and it stays on surface. It is extremely gentle and will not damage or discolor the leather, even if you apply it with great force while cleaning. Nubuck and suede are very difficult to clean when stained. We tested various products on stained nubuck and suede and most just do not worked properly. We found that Kiwi Select is an exception because it cleaned all the dirt and stain without leaving residues. However it has a strong odor, which turns some individuals off. It is necessary to wear gloves because it is strong enough for skin. It is best to apply Kiwi Suede Protector as conditioner after using Kiwi Select Cleaner. It add a protective layer on your nubuck or suede and help it to last for long. 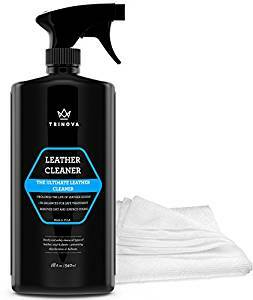 TriNova Leather Cleaner is award winning leather cleaner. 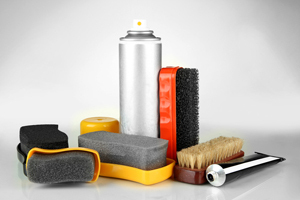 It is versatile enough to clean shoes, bags, car interiors, saddle, furniture and the like. It is safe for all types of vinyl, leather and plastic and contain no harsh chemical, detergent or ingredients. Its pH balance formula can deeply penetrates tiny pores of leather and rid dirt, oil, grime and all other stains. This premium leather cleaner is strong enough to reduce toughest stains, which other leather cleaner cannot handle. It is a no-rinse cleaner that effectively yet quickly clean your leather surfaces. It prevent dullness and discoloration of leather. 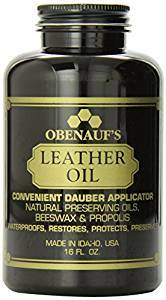 The best thing it preserves essential oils in your leather and prolong its life, luster, shine and softness. You will never see any soapy residue or messy oil behind. It dries quickly and prepares your leather for further conditioning. Just spray it on a microfiber towel and apply it in circular motions. After this wipe all the lifted oil and dirt with the help of microfiber towel or dry cloth. It has very light fragrance that will dissipate quickly. The pack comes with free microfiber towel. It is backed by 1 year money back guarantee. It has outstanding costumer rating and reviews over the internet. It has 900 5 – star reviews and it is usually recommended by auto experts and enthusiast as it also works great for car interiors. Can be used on all surfaces including vinyl, dura blend, compound, faux saffiano. Free from toxic and harsh chemicals. Have many negative feed backs by consumers, however most of them are because they didn’t followed the instructions. 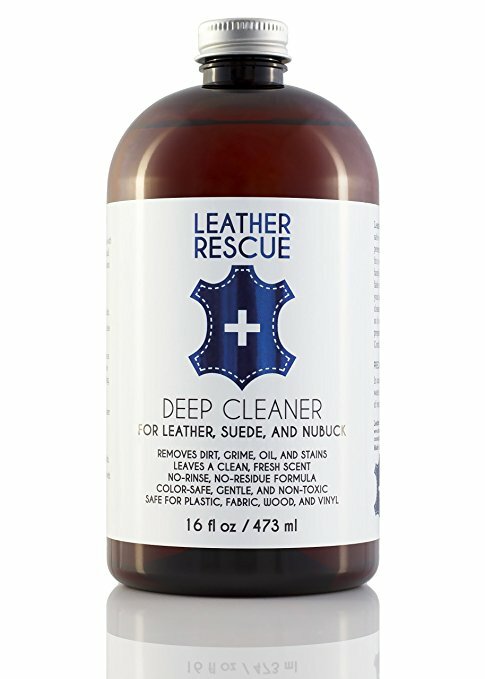 Deep Leather Cleaner by Leather Rescue provides a strong and safe wash for your suede, leather, and nubuck. 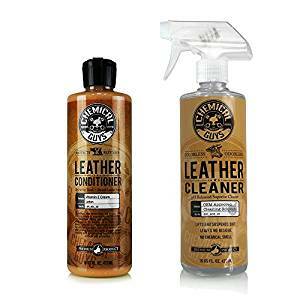 This leather cleaner penetrates to lift stubborn debris, grime, dirt oil, and other stains for clean and vibrant finish. Its, formula contains no harsh chemicals or detergents and will never dry out leather or create dullness in colors. 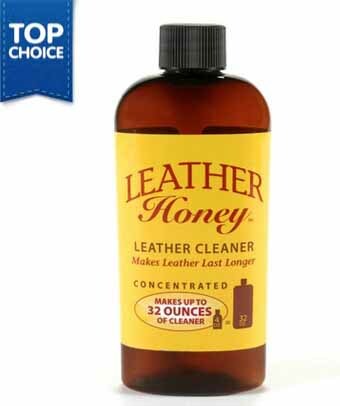 With regular use of this leather cleaner it will preserve natural shine and softness of your leather. Deep Cleaner is also safe to use on fabric, plastic, wood, as well as vinyl, therefore it works well for all your house and car accessories. Although this produce really work, it comes with a 90 day money back guarantee. This product is made by USA. And lab tested to safely apply on all types of leather, and for preserving essential oils, softness and shine. It is a No residue, no rinse formula which dries quickly leaving shine and fresh scent behind. Its formula is nontoxic, gentle and safe.